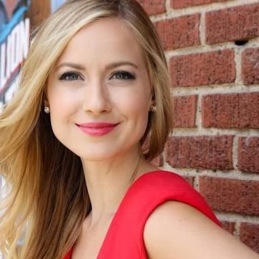 Alex Wehrley, the latest to leave Dallas-based CW33’s early opening Eye Opener program, has at least one new media job in her brand new home of Los Angeles. The former Miss Wisconsin USA says on her Facebook page that she’ll be co-hosting with Maria Menounos Wednesday nights on AfterBuzzTV, a new online network. Wehrley left her Eye Opener co-host position on June 19th, shortly after Nerissa Knight likewise departed and headed to L.A., where she’s now a reporter with KTLA-TV. Both stations are owned by Tribune Broadcasting. Eye Opener’s only remaining full-time personality at the moment is Oliver Tull. 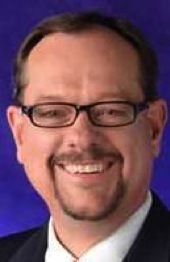 Wehrley joined CW33 in fall 2013, replacing Sean Dowling. She was Miss Wisconsin USA in 2009 and went on to work for stations in Rockford, Ill. and Oklahoma City. “My 1st weekend in L.A. was great . . . Now it’s back to work! I’ve got some really big meetings this week & next and would appreciate your thoughts and prayers,” Wehrley said Monday on her Facebook page. Two former and familiar D-FW news personalities, Gloria Campos and Rebecca Miller, have new positions without TV station backdrops. 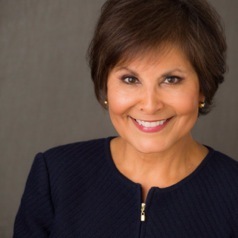 Campos, who retired from WFAA8 earlier this year after a long career as a featured news anchor, says on her Twitter page that she’s signed with the Dallas-based Mary Collins Agency, where she’ll “focus on” voice-over and on-camera work. Miller, who was a prominent meteorologist at NBC5 and later, CW33, says on her Facebook page that she’s the new senior meteorologist at Southwest Airlines. “I have a lot to learn but it’s going to be fun!” Miller says. Univision23 can only dream of what might have been had Mexico beaten The Netherlands Sunday instead of suffering a late-in-the-match 2-1 loss to end their World Cup run. But future great expectations, now dashed, can’t take away from the mega-ratings for a match that ran from 11 a.m. to 12:57 p.m. on both Univision23 and ESPN. The Spanish language station by far drew the bulk of the D-FW audience, averaging 575,205 viewers compared to ESPN’s 127,823. Among advertiser-coveted 18-to-49-year-olds, Univision23 hauled in 286,590 and ESPN, 71,647. How big is that? Bigger than any of this year’s five NBA Finals games between the Spurs and the Heat. The climactic Game 5 topped that list with 624,914 total viewers and 335,440 in the 18-to-49 demographic. Mexico-Netherlands drew a combined 703,028 total viewers on Univision23/ESPN, with 358,237 in the 18-to-49 age range. Sunday’s second World Cup soccer attraction, undermanned Costa Rica’s dramatic win over Greece in an overtime shootout, ran from 3 to 5:55 p.m. on ESPN and Univision23. The Spanish language telecast and ESPN each averaged 149,127 total viewers for a total of 298,254. Among 18-to-49-year-olds, Univision23 had the edge with 87,931 to 61,877 for a total of 149,808. In comparison, Sunday’s network prime-time programming on the Big 4 broadcast networks was led by CBS’ Unforgettable in total viewers (213,039) and CBS’ Big Brother in the 18-to-49 demographic (87,931). CBS’ 8 p.m. premiere of the new cop series Reckless ran second in total viewers (behind the first hour of ABC’s Rising Star) and an out-of-the-money fourth with 18-to-49-year-olds. The 106,520 total viewers for Reckless were almost 600,000 fewer than the TV crowd for Mexico-Netherlands. Fox4 swept the 6 a.m. competitions and WFAA8 did likewise at 6 p.m. The 5 p.m. golds went to NBC5 in total viewers and WFAA8 among 25-to-54-year-olds. Bars, restaurants, workplaces and watch parties aren’t factored into these D-FW ratings for Thursday’s U.S.-Germany World Cup match. Nielsen Media Research’s in-home audience estimates otherwise show a substantial drop-off from Sunday’s high point. That’s not surprising, given the 11 a.m. start time on a workday for many. But here we go. Running until 12:52 p.m., with the U.S. soccer team winning a spot in the final 16 while also losing 1-0, the match averaged 170,431 viewers on ESPN and 120,722 viewers on Univision23. That’s a grand total of 291,153. Among advertiser-craved 18-to-49-year-olds, ESPN drew 78,161 viewers and Univision23, 58,621 for a total of 136,782. Sunday’s 2-2 tie with Portugal, which started at 5 p.m., swamped Thursday’s match with 546,800 total viewers on the two networks and 315,900 within the 18-to-49 motherlode. Even so, the U.S.-Germany game ranked as Thursday’s most-watched TV attraction. CBS11’s syndicated Wheel of Fortune ran second in total viewers with 248,546. Elsewhere Thursday, the 9 p.m. season debut of ABC’s New York Med won its time slot in total viewers with 149,127. But 18-to-49-year-olds preferred NBC’s competing Last Comic Standing, with NY Med slipping to third behind Fox4’s 9 p.m. local newscast. CBS’ second new season episode of Big Brother 16 stayed strong with 8 p.m. wins in both total viewers (184,634) and 18-to-49-year-olds (113,985). In the 7 p.m. hour, CBS’ repeat sitcom combo of The Big Bang Theory and The Millers won in total viewers while NBC’s Hollywood Game Night ran first in the 18-to-49 demographic. Thursday night’s NBA draft on ESPN, in which the Dallas Mavericks didn’t have a pick, averaged 78,114 total viewers, with 48,851 in the 18-to-49 range. Fox Sports Southwest’s competing Texas-Rangers-Detroit Tigers game averaged more total viewers (92,317) but drew fewer 18-to-49-year-olds (29,310). WFAA8 swept the 10 p.m. competitions in both total viewers and 25-to-54-year-olds (main advertiser target audience for news programming). Fox4 had the most total viewers at 6 a.m. while tying NBC5 for the top spot with 25-to-54-year-olds. The 6 p.m. golds went to CBS11 in total viewers and WFAA8 among 25-to-54-year-olds. There also was a split decision at 5 p.m., with NBC5 drawing the most total viewers and Fox4 atop the 25-to-54 demographic. The 16th edition of CBS’ Big Brother made another pretty big/pretty people impression in the summer prime-time ratings Wednesday. BB won its 7 to 8 p.m. slot in both total viewers (205,938) and advertiser-prized 18-to-49-year-olds (97,701). Those were the largest audiences of the night in both ratings measurements, although the first hour of Fox’s competing So You Think You Can Dance was close behind with respective totals of 184,634 and 87,931. The second half of Dance won the 8 p.m hour in total viewers and 18-to-49-year-olds. Tumbling out of contention was NBC’s usually potent two-hour edition of America’s Got Talent. But there’s a reason for that. It was a rerun after a new episode aired on Sunday night instead to blunt the premiere of ABC’s heavily hyped Rising Star. Wednesday’s edition of AGT drew just 127,823 total viewers, with 32,567 in the coveted 18-to-49 demographic. The poor performance of AGT didn’t help NBC’s 9 p.m. premiere of Taxi Brooklyn, but it fared fairly well anyway. In total viewers Taxi Brooklyn held AGT’s audience of 127,823 in running third behind Fox4’s local newscast (149,127) and ABC’s Motive (134,925). Brooklyn Taxi also took the bronze with 18-to-49-year-olds while Fox4’s news again topped the field. On Fox Sports Southwest, the Texas Rangers’ seventh straight loss averaged 106,520 total viewers. Less than a third of them -- 32,567 -- were in the 18-to-49 age range. In Wednesday’s local news derby results, WFAA8 won in total viewers at 10 p.m. and tied Fox4 for first place among 25-to-54-year-olds (main advertiser target audience for news programming). Fox4 ran the table at 6 a.m. and NBC5 did likewise at 5 p.m. The 6 p.m. golds went to CBS11 in total viewers and Fox4 with 18-to-49-year-olds. Sometimes the D-FW ratings are uneventful at best. Even though summertime programming is hardly wall-to-wall reruns anymore. Still, CBS’ 7 p.m. repeat of NCISAmerica’s Got Talent took the 8 p.m. hour with 177,533 viewers. Fox4’s local newscast then reigned at 9 p.m. with 205,938 viewers while CW33’s competing anchor-less NewsFix registered “hashmarks” (no measurable audience). Among advertiser-prized 18-to-49-year-olds, Talent was a dominant No. 1 from 7 to 9 p.m. and Fox4’s news won with ease at 9 p.m.
Over on Fox Sports Southwest, the Texas Rangers’ sixth straight loss, at home to the Tigers, averaged 120,722 total viewers. CBS11 ran first at 10 p.m. in total viewers, but NBC5 won among 25-to-54-year-olds, the main advertiser target audience for news programming. Fox4 took the 6 a.m. and 5 p.m. competitions in both ratings measurements. CBS11 had the most total viewers at 6 p.m.; WFAA8 was tops with 25-to-54-year-olds at that hour. Fox’s 24: Live Another Day reigned as prime-time’s biggest overall draw Monday while the daytime Mexico-Croatia World Cup soccer game made Univision23 D-FW’s biggest cheese. 24 had 205,938 viewers in the 8 p.m. hour to beat ABC’s competing second half of The Bachelorette. Fox also won at 7 p.m. in total viewers with Masterchef (149,127) and Fox4’s local newscast prevailed at 9 p.m. (also with 149,127 viewers). Masterchef nipped the first half of Bachelorette to win at 7 p.m. among advertiser-prized 18-to-49-year-olds. Bachelorette then controlled the 8 p.m. hour before NBC’s American Ninja was the top 18-to-49 draw at 9 p.m. The Mexico-Croatia World Cup match, which started at 3 p.m., drew a very impressive 340,682 viewers to the Univision23 telecast while adding 42,608 for ESPN’s coverage. Soccer also roared among 18-to-49-year-olds, with Univision23 drawing 185,632 and ESPN, 26,054. In Monday’s local news derby results, WFAA8 won at 10 p.m. in both total viewers and 25-to-54-year-olds, the main advertiser target audience for news programming. Fox4 swept the 6 a.m. and 5 p.m. competitions. The 6 p.m. firsts went to WFAA8 in total viewers and Fox4 in the 25-to-54 demographic. Portugal took much of the air out of Sunday’s thrilling World Cup soccer match by tying the United States men’s team with a deflating last-second goal. The 2-2 final soared in the D-FW ratings anyway, drawing far more viewers than any other weekend attraction. It was shown on two networks -- ESPN and Univision23. Running from 5 to 6:54 p.m. Sunday, the soccer match drew 340,862 viewers on ESPN and added another 205,938 for the Univision telecast. In the realm of recent sports championship events, the grand total of 546,800 viewers outdrew all but the final game of the San Antonio Spurs-Miami Heat NBA Finals, which averaged 624,914 total viewers on ABC. U.S.-Portugal also scored big among advertiser-prized 18-to-49-year-olds, amassing 198,659 on ESPN and 117,241 on Univision. The total of 315,900 again beat all but Game 5 of the NBA Finals, which had 335,440 viewers in this key demographic. Impressive to say the least. ESPN followed immediately on Sunday night with the Texas Rangers’ 5-2 road loss to the Angels. The game drooped to 127,823 total viewers, with 65,134 in the 18-to-49 motherlode. TNT also had a big premiere Sunday night. Its 8 p.m. launch of the heavily hyped The Last Ship had 106,520 total viewers. A tugboat-sized 19,540 were in the 18-to-49 age range. Over on ABC Sunday, the two-hour, 8 to 10 p.m. premiere of Rising Star (another gimmick-laden singing competition) drew 134,925 total viewers to run second behind NBC’s competing America’s Got Talent special (184,634 viewers). But Rising Star won its time slot with 18-to-49-year-olds, beating AGT by a score of 58,621 to 48,851. Friday’s prime-time Nielsens were led by CBS’ Blue Bloods repeat, which had 177,533 total viewers in the 9 p.m. hour. The night’s top scorer among 18-to-49-year-olds was Fox4’s 9 p.m. local newscast with 65,134 viewers. TXA21’s late starting Texas Rangers game, another loss to the Angels, slumped to just 78,114 total viewers. The tune-out is accelerating, no matter what network or local station carries the injury-ravaged Rangers games. Fox4 and WFAA8 tied for the most total viewers at 10 p.m., with Fox4 alone atop the 25-to-54 measurement (the main advertiser target audience for news programming). Fox4 added sweeps at 6 a.m. and 6 p.m. while also having the most total viewers at 5 p.m. NBC5 and WFAA8 tied for the most 25-to-54-year-olds at 5 p.m.
ABC’s double-barreled Season 5 premiere of the summer series Rookie Blue gave the network a boost Thursday on a night when two CBS sitcom repeats otherwise drew the biggest prime-time audiences. Blue drew 156,229 D-FW viewers from 8 to 10 p.m. to win those hours against all competing programs. In the 7 p.m. hour, reruns of The Big Bang Theory (198,836 viewers) and Mom (156,229) were the overall biggest draws. Among advertiser-prized 18-to-49-year-olds, though, Fox’s 7 to 9 p.m. combo of Hell’s Kitchen and Gang Related won those hours before Fox4’s 9 p.m. local newscast took the gold. On Wednesday night, Fox4’s local news did even better, dominating the 9 p.m. hour in both total viewers and 18-to-49-year-olds. And Fox’s So You Think You Can Dance won from 7 to 9 p.m. in those measurements. Wednesday -- Fox4 topped the 10 p.m. Nielsens in both total viewers and 25-to-54-year-olds (main advertiser target audience for news programming) while also sweeping at 6 a.m.
WFAA8 had the most total viewers at 6 p.m. and CBS11 won among 25-to-54-year-olds. Fox4 and NBC5 tied for the most viewers at 5 p.m. In an oddity, it was the same story at that hour in the 25-to-54 measurement. Thursday -- WFAA8 ran the table at 10 p.m. while Fox4 again did likewise at 6 a.m.
Fox4 added to its ratings riches with a 5 p.m. sweep. The 6 p.m. golds went to CBS11 in total viewers and NBC5 among 25-to-54-year-olds. D-FW NEWS NOTE -- As noted here before, there are bigger things in store for WFAA8’s Marcus Moore, who this week has been co-anchoring the station’s 4 p.m. newscasts with incumbent Shelly Slater. Moore could end up being a permanent co-anchor of the 4 p.m. news, according to sources. He also has been anchoring WFAA8’s Midday newscast and recently got additional exposure as a fill-in anchor on the June 7th Saturday 10 p.m. newscast. Moore, for now, also reports for the early morning Daybreak program. WFAA8 news director Carolyn Mungo has not returned an email asking about Moore’s anchoring status. The station’s 4 p.m. ratings have been mostly dismal since WFAA8 became the third in the market to do a one-hour local newscast at that hour. NBC5 was the first, followed by CBS11. WFAA8’s 4 p.m. news premiered last September. Absent the NBA or Stanley Cup Finals, NBC won from start to stop in Tuesday’s prime-time Nielsens. The Peacock’s two-hour America’s Got Talent turned in its strongest D-FW number of the summer with 284,052 viewers. That made it Tuesday’s most-watched program in day or night. NBC’s Night Shift then had 127,823 viewers in the 9 p.m. hour, just enough to slip past Fox4’s competing local newscast (120,722 viewers). AGT and Night Shift also won their time slots among advertiser-prized 18-to-49-year-olds. In each case the victory margins were far more comfortable. CW33’s anchor-less 9 p.m. newscast, NewsFix, ranked at the bottom of the ratings teeter totter with “hashmarks” (no measurable audience) in both ratings measurements. The Texas Rangers, working the late shift in Oakland, averaged 78,114 viewers in a 10-6 loss. Yu Darvish, who’s generally worth a ratings bump, had one of his worst starts of the season. CBS11 had the most total viewers at 10 p.m. while Fox4 ran first with 25-to-54-year-olds, the main advertiser target audience for news programming. The total viewer golds at 5 and 6 p.m. respectively went to NBC5 and CBS11. The U.S. Men’s soccer team’s dramatic 2-1 win over Ghana in their 2014 World Cup debut made a big ratings impression Monday, drawing a larger audience than anything in prime time. Running from 5 to 6:56 p.m. on ESPN, the match averaged 213,039 D-FW viewers, with 123,755 of them in the advertiser-prized 18-to-49-year-old demographic. Only CBS11’s pre-prime time Wheel of Fortune had more total viewers, drawing 284,052 between 6:30 and 7 p.m. But U.S.-Ghana easily ranked as Monday’s No. 1 draw among 18-to-49-year-olds. Fox’s 8 p.m. episode of 24: Live Another Day came in second with 87,931 viewers in this key demographic. The Texas Rangers’ late night 14-8 win at Oakland averaged 92,317 total viewers on Fox Sports Southwest. The game drew 35,824 viewers in the 18-to-49 age range, making it no match at all for soccer’s 123,755. Also of note: Fox4’s 9 p.m. local newscast solidly won that hour in both ratings measurements against network programming on ABC, CBS and NBC. The newscast’s 191,735 total viewers more than tripled the total for ABC’s bottom-rung new episode of Mistresses (56,810). Here are Monday’s local news derby results in the major four-way competitions. Fox4 nipped CBS11 for the most total viewers at 10 p.m. while NBC5 won among 25-to-54-year-olds (main advertiser target audience for news programming). Fox4 also swept the 6 a.m. competitions and ran first with 25-to-54-year-olds at both 5 and 6 p.m.
CBS11 had the most total viewers at 6 p.m. and NBC5 ran first in that measurement at 5 p.m. PROGRAMMING NOTE: For those who can handle it, Fox Sports Southwest will have live coverage Wednesday of the San Antonio Spurs championship celebration. It begins at 6 p.m. with a River Walk parade before moving to the Alamodome for a 9 p.m. ceremony. If that afternoon’s Texas Rangers-Oakland A’s game runs long, coverage of the Spurs parade will begin on Fox Sports Southwest Plus, spokesperson Ramon Alvarez said. It will then shift to FSS after the game is over. A slow start and then a blast off gave the San Antonio Spurs their fifth NBA championship Sunday night. The 104-87 demolition of the defending champ Miami Heat similarly built steadily in the ratings, starting with 305,356 D-FW viewers and finishing with 908,966 in the closing minutes of a Game 5 that ended at 9:48 p.m.
Spurs-Heat overall averaged 624,914 viewers on ABC, easily making it the most-watched of the five-game series. The advertiser-prized 18-to-49-year-old audience also was mammoth, with an average of 335,440 viewers in this key demographic. Sunday’s 8 p.m. Season 4 finale of HBO’s Game of Thrones came in second-best opposite the NBA Finals with 185,600 total viewers and 143,295 in the 18-to-49 demographic. In the Big 4 broadcast network universe, CBS’ 9 p.m. repeat of The Mentalist fared best versus the Finals with 127,823 total viewers. Among 18-to-49-year-olds, Fox4’s 9 p.m. local newscast came in second with 52,107 viewers. Earlier Sunday on NBC, one of the more uneventful U.S. Open golf championships in recent history trudged along with an average of 92,317 total viewers. Martin Kaymer, who was never threatened, won by eight strokes. Golf was outdrawn in the lesser-watched late morning/early afternoon period by ABC’s competing World Cup match between Switzerland and Ecuador (92,317 viewers). But golf edged ABC’s second World Cup attraction, France vs. Honduras. The entire U.S. Open averaged just 29,310 viewers in the 18-to-49 age range. The first World Cup match easily won in this measurement while the second prevailed by a paper-thin margin. On Friday night, NBC’s decisive Game 5 of the Stanley Cup finals ran all the way until 11:26 p.m. before the Los Angeles Kings beat the New York Rangers 3-2 in the second overtime. The entire match averaged 71,013 total viewers, with an inflated crowd of 113,621 on hand to see the winning goal. An impressive percentage of the overall audience average again was within the 18-to-49 motherlode. That number was 58,621, with 74,901 witnessing the winning Kings goal. From 10:30 to 11:30 p.m., the Cup out-paced ABC’s Jimmy Kimmel and CBS’ David Letterman in both ratings measurements. TXA21’s hockey-esque 1-0 Texas Rangers Friday night road win at Seattle averaged 113,621 total viewers and 29,310 in the 18-to-49 demographic. Or to put it another way, the Rangers averaged half the 18-to-49 crowd for hockey while again winning overall in total viewers. Friday’s most-watched prime-time program in total viewers, CBS’ 9 p.m. rerun of Blue Bloods, averaged 177,533 viewers. CBS11 won a downsized three-way race in total viewers but WFAA8 was No. 1 with 25-to-54-year-olds (main advertiser target audience for news programming). NBC5 and WFAA8 tied for first place at 6 a.m. in total viewers; WFAA8 was alone on top with 25-to-54-year-olds. NBC5 and WFAA8 also shared the 6 p.m. golds in total viewers, with WFAA8 again winning outright in the 25-to-54 demographic. The 5 p.m. firsts went to Fox4 in total viewers and WFAA8 with 25-to-54-year-olds. Ratings remained steady for the San Antonio Spurs’ latest demolition of the Miami Heat, with ABC’s Game 4 of the NBA Finals again blowing out all competing programming. Running until 10:41 p.m., the Spurs’ 107-86 win averaged 461,585 D-FW viewers, with 247,509 of them within the advertiser-prized 18-to-49 demographic. The total viewers Nielsen number tied Game 2 for the most to date. The 18-to-49 audience fell short of the 260,054 for Game 3. CBS’ 8:30 p.m. rerun of The Millers made the best total viewers showing opposite the NBA with 149,127. Among 18-to-49-year-olds, NBC’s 9 p.m. hour of Last Comic Standing fared best with 65,134 viewers. From 7 to 8 p.m., CBS’ repeat comedy combo of The Big Bang Theory and Mom led in total viewers while Big Bang and ABC’s onsite 7:30 p.m. pre-game show were tops with 18-to-49-year-olds. Here are Thursday’s local news derby numbers. NBC5 comfortably won the downsized three-way 10 p.m. race in both total viewers and 25-to-54-year-olds, the main advertiser target audience for news programming. Fox4 swept at 6 a.m. and WFAA8 did likewise at 6 p.m. NBC5 and CBS11 tied for the most total viewers at 5 p.m., but the Peacock was alone on top with 25-to-54-year-olds. No, there’s no justice -- not then and not now. NBC scored Wednesday night with a 20th anniversary special titled The People vs. O.J. Simpson: What the Jury Never Heard. Airing from 8 to 10 p.m. under the Dateline banner, it averaged 177,533 D-FW viewers to beat all competing programming during that time period. Among advertiser-prized 18-to-49-year-olds, O.J. ran first from 9 to 10 p.m. but was beaten in its initial hour by the second half of Fox’s So You Think You Can Dance. CBS won at 7 p.m. hour in total viewers with Undercover Boss while Dance again prevailed with 18-to-49-year-olds. NBC Sports Net’s Game 4 of the Rangers-Kings Stanley Cup final had 35,507 total viewers. But virtually all of them were 18-to-49-year-olds. On Fox Sports Southwest, the Texas Rangers’ win over Miami, with Yu Darvish pitching a complete game shutout, averaged 134,925 total viewers. For the first time, baseball also had more 18-to-48-year-olds -- 39,080 -- than hockey did. Here are Wednesday’s local news derby numbers. NBC5 ran first at 10 p.m. in both total viewers and 18-to-49-year-olds, the main advertiser target audience for news programming. The Peacock likewise ran the table at 6 a.m., with the usual frontrunner, Fox4, running fourth in total viewers for the first time in recent memory. Co-anchor Tim Ryan is on vacation, though. He might want to use this in future contract negotiations. NBC5 continued its big day with a sweep at 5 p.m. while also winning at 6 p.m. in total viewers. But Fox4 broke up the party by running first at 6 p.m. in the 25-to-54 demographic. The Spurs’ rout of the Heat in Game 3 of the NBA Finals likely suppressed the potential audience as the outcome became obvious. ABC’s telecast dominated anyway for a game that ran from 8:11 p.m. to 10:46 p.m.
Technically, the full 10:45 to 11 p.m. increment is supposed to be factored into the overall game average. But in reality, ABC’s brief post-game show, a big block of commercials and WFAA8’s late-starting local newscast filled 14 of those minutes. So we’re going to give you a more realistically accurate count by discarding those 15 minutes but including the full 8 to 8:15 p.m. segment in the overall rating average. So here’s the score. San Antonio’s 111-92 demolition of Miami averaged 454,483 D-FW viewers, with 260,054 of them in the advertiser-prized 18-to-49 demographic. The total audience fell just shy of Game 2’s 461,585 viewers. But this was the highest-rated game among 18-to-49-year-olds, beating the 237,739 for Game 2. NBC’s first hour of America’s Got Talent gave the Peacock a 7 to 8 p.m. win with 241,444 total viewers opposite CBS’ NCIS repeat (205,938) and ABC’s pre-game combo of a Jimmy Kimmel Finals special (78,114) and a half-hour of on-site buildup from Miami (120,722). Kimmel moved ahead of NCIS among 18-to-49-year-olds before the 7:30 to 8 p.m. portion of pre-game filler ran first ahead of America’s Got Talent. Fox’s 7 to 9 p.m. combo of Riot and I Wanna Marry Harry ran last in total viewers among the Big Four broadcast networks. Harry inched up to third place, ahead of CBS’ NCIS: Los Angeles repeat, in the 18-to-49 demographic. Over on Fox Sports Southwest, the struggling, injury-decimated Texas Rangers continued to slump in the ratings as well. Their 8-5 loss to the Miami Marlins averaged 92,317 total viewers, ending at almost exactly the same that Spurs-Heat did. NBC5 won a downsized three-way race at 10 p.m. in both total viewers and 25-to-54-year-olds, the main advertiser target audience for news programming. The Peacock also swept the 6 a.m. competitions. The sweeping continued at 5 and 6 p.m., with Fox4 and WFAA8 respectively scoring twin wins. D-FW viewers opted for heavy-duty action and pressure-cookers Monday night. Fox’s Masterchef led the 7 p.m. hour with 191,735 viewers and 91,188 in the advertiser-prized 18-to-49-year-old demographic. The network’s 24: Live Another Day then led from 8 to 9 p.m. in total viewers with 241,444 total viewers. But among 18-to-49-year-olds, it was wiped out by the first hour of NBC’s American Ninja Warrior by a score of 123,755 to 94,444. Ninja also easily won from 9 to 10 p.m. with 18-to-49-year-olds while holding off Fox4’s local newscast for the top spot in total viewers (184,634 to 170,431). Diane Sawyer’s 8 p.m. interview on ABC with Hillary Clinton drew 142,026 viewers to beat only CBS’ 8:30 p.m. rerun of Mike & Molly among the Big Four broadcast networks. Sawyer-Clinton ran third with 18-to-49-year-olds, beating an 8 p.m. M&M rerun as well. In the cable universe, TNT’s Season 3 premiere of Major Crimes also outdrew Sawyer-Clinton in the 8 p.m. hour with 156,229 total viewers. The 9 p.m. premiere of TNT’s Murder in the First held pretty steady with 127,823 viewers. All right, let’s go to the sports page, where Game 3 of the Stanley Cup finals was exiled to NBC Sports Net. King-Rangers averaged just 35,507 total viewers. But a highly impressive percentage -- 32,567 -- were in the 18-to-49 motherlode. How highly impressive? Consider this. Fox Sports Southwest’s Texas Rangers-Cleveland Indians game again had far more total viewers than hockey with 78,114. But baseball averaged only 20,843 viewers in the 18-to-49 range. So that’s close to a 15,000-viewer edge for the NHL’s ice capades. The Rangers were pounded 17-7 and were far behind early. But Game 3 of the Stanley Cup finals likewise was pretty much a rout, with the Kings winning 3-0 after taking an early two-goal lead. And hockey also was sent to the Peacock’s cable Siberia after the first two games aired on the mothership NBC broadcast network. WFAA8 overcame a lousy ABC lead-in from Mistresses to win at 10 p.m. in both total viewers and 25-to-54-year-olds (main advertiser target audience for news programming). Fox4 again swept the 6 a.m. competitions and added a 5 p.m. win among 25-to-54-year-olds. NBC5 had the most total viewers at 5 p.m. Playing in air-conditioned comfort throughout, the Miami Heat and San Antonio Spurs nonetheless got hotter in the D-FW Nielsen ratings. Game 2 of the NBA Finals, won 98-96 by Miami, ran until 9:43 p.m. Sunday on ABC and demolished competition from the Tony Awards on CBS and Donald Trump’s Miss USA pageant on NBC. Heat-Spurs averaged 461,585 viewers with a peak crowd of 667,522 for the final minutes of the game. Among advertiser-prized 18-to-49-year-olds, the game averaged 237,739 viewers with a high point of 371,264 in the closing minutes. Game 1 in its entirety averaged 390,572 total viewers with 231,226 in the 18-to-49 demographic. The Miss USA pageant came in second Sunday night with 156,229 total viewers and 58,621 in the 18-to-49 motherlode. The Tonys took the bronze among the Big Four broadcast networks with respective totals of 142,016 and 42,337 viewers. On early Saturday evening, the California Chrome-infused Belmont Stakes on NBC dominated all sports activity. After a long buildup, the horses broke from the starting gate during the 5:45 to 6 p.m. increment measured by Nielsen Media Research. A TV crowd of 475,787 total viewers watched during that quarter-hour, with a smallish 107,471 in the 18-to-49 age range. Horse racing may be the “Sport of Kings,” but it’s also the sport of oldsters compared to the NBA. NBC then quickly fired up Game 2 of the Los Angeles-Kings-New York Rangers Stanley Cup finals match. It ran from 6:31 to 10:40 p.m., when the Kings again beat the Rangers in overtime. The match averaged 63,912 total viewers, but again had a very nice-sized percentage of 18-to-49-year-olds (45,594). Friday’s prime-time Texas Rangers home win over Cleveland, with Yu Darvish on the mound, averaged 127,823 total viewers on TXA21, with 35,824 in the 18-to-49 range. WFAA8 won at 10 p.m. in both total viewers and 25-to-54-year-olds, the main advertiser target audience for news programming. The station also ran the table at 6 p.m.
Fox4 and WFAA8 tied for the top spot in total viewers at 6 a.m. The golds among 25-to-54-year-olds were shared by Fox4 and NBC5. Fox4 added 5 p.m. wins in both ratings measurements. LOCAL TV/RADIO NOTE -- Courtney Kerr, one of the co-hosts on KTXD-TV’s The Broadcast, is adding a radio show to her resume. Starting on Monday, June 23rd, she’ll be co-hosting KVIL radio’s (103.7 FM) new Courtney Kerr’s Lunchtime Takeover with Leigh Ann Adam. The show will run weekdays from noon to 1:20 p.m.
Kerr also will remain with The Broadcast, which airs live from 9 to 11 a.m. on weekdays and is repeated from 4 to 6 p.m. A spokesperson confirms that Kerr will be “zipping right over” from KTXD to KVIL. WFAA8’s weekend anchor alignment double-shifted Saturday following the dismissal of Shon Gables. Carla Wade, who had been anchoring the Dallas-based station’s weekend evening and late night newscasts, is Gables’ permanent replacement on weekend mornings. Moore, also clearly a rising star at WFAA8, anchored Saturday’s PM newscasts in place of Wade but was back anchoring WFAA8’s Midday newscast on Monday. Teresa Woodard filled in as anchor of Sunday’s PM newscasts while incumbent Jason Wheeler apparently was off. Wade’s transition was announced on wfaa.com by news director Carolyn Mungo. Moore wasn’t mentioned in the announcement, but he tweeted his thanks Saturday night in response to congratulatory messages for his 10 p.m. debut. Mungo did not return four email messages requesting information or confirmation on the dropping of Gables and the resultant weekend anchor shifts. She did, however, confirm Gables’ departure to the Fort Worth Star-Telegram hours after unclebarky.com had posted WFAA8’s decision to part with Gables. The newspaper and WFAA8 are new partners in a content-sharing arrangement. Wade joined WFAA8 in February 2013 from Oklahoma City’s KOCO-TV. Moore has been at WFAA8 since January 2012. He previously worked at KMBC-TV in Kansas City. WFAA8 also has officially named Alexa Conomos as the full-time co-anchor of the station’s weekday Daybreak program. Conomos, who had been Daybreak’s longtime traffic reporter, was the primary anchor partner for Ron Corning in the months since Cynthia Izaguirre became the 5 and 10 p.m. weekday co-anchor following Gloria Campos’ retirement after the February “sweeps” ratings period. The station had posted the Daybreak co-anchor spot and welcomed outside candidates to apply. But Mungo, in a statement on wfaa.com, said the position now belongs to Conomos. Conomos and her husband have three young children. Shane Allen, who replaced Conomos as Daybreak’s traffic reporter, apparently will stay in that position. He formerly worked at NBC5. WFAA8 ran third in the early mornings during the recently ended May ratings “sweeps,” behind Fox4 and NBC5. Maybe LeBron did. But Game 1 of the NBA Finals didn’t need no stinkin’ AC on ABC Thursday night. The San Antonio Spurs’ 110-95 win over Miami, with the entire second half played in non-air conditioned comfort, tore through prime-time and flattened everything else. Starting unnecessarily late at 8:10 p.m. and running until 10:40 p.m., the game averaged a robust 390,572 D-FW viewers. Well more than half of them -- 231,226 -- were in the advertiser-prized 18-to-49 age range. The closest prime-time attraction airing opposite the Finals, Fox4’s 9 p.m. local newscast, had respective totals of 149,127 and 61,877 viewers. From 7 to 7:30 p.m., though, CBS’ rerun of The Big Bang Theory squashed Jimmy Kimmel’s ABC pre-game show by a score of 248,546 to 85,216 in total viewers. Among 18-to-49-year-olds, Kimmel and Big Bang tied with 55,364. But both were beaten by the first half-hour of Fox’s Hell’s Kitchen (61,877 viewers in the 18-to-49 demographic). CW33’s new, anchor-less NewsFix recorded its first “hashmarks” (no measurable audience) at 9 p.m. in both key ratings measurements. Here are Thursday’s local news derby results among D-FW’s four major providers. CBS11 had the most total viewers at 10 p.m. in a downsized three-way race while Fox4 won among 25-to-54-year-olds (the main advertiser target audience for news programming). Fox4 also swept the 6 a.m. and 5 p.m. competitions and added a 6 p.m. win with 25-to-54-year-olds. WFAA8 had the most total viewers at 6 p.m. The Texas Rangers and New York Rangers went mostly head-to-head Wednesday night in D-FW, with hockey taking a puck to the mouth in one ratings measurements but icing baseball in the audience demographic of most interest to advertisers. Game 1 of the Stanley Cup Finals on NBC went into overtime before the Los Angeles Kings beat the Rangers 3-2. The match ended at 10:12 p.m.
Over on Fox Sports Southwest, the visiting Baltimore Orioles edged the Rangers 6-5 in the second of their three-game series. The nine-inning game ran all the way to 10:43 p.m. Baseball clearly outdid hockey in total viewers. The entire Rangers-Orioles game averaged 134,925 viewers while Kings-Rangers drew less than half that crowd (56,810 viewers). It was a notably different story among advertiser-prized 18-to-49-year-olds, though. In that key demographic, Kings-Rangers averaged 45,594 viewers for the complete game while Rangers-Orioles sunk to 35,824 viewers. Percentage-wise, about eight in every 10 hockey viewers were in the 18-to-49 age range. For baseball it was just over one in every four viewers. So the “win,” from an advertising revenue standpoint, goes to King-Rangers. Wednesday’s prime-time Nielsens otherwise were paced by Fox’s two-hour So You Think You Can Dance, which averaged 184,634 total viewers and 87,931 in the 18-to-49 demographic. Fox4’s 9 p.m. local newscast also outdraw hockey and baseball in both ratings barometers during that hour. Here are Wednesday’s four-way local news derby numbers. WFAA8 won a downsized three-way race at 10 p.m. in total viewers, but Fox4 ran first among 25-to-54-year-olds (the main advertiser target audience for news programming). Fox4 again ran the table at 6 a.m. and also swept the 5 p.m. competitions. CBS11 had the most total viewers at 6 p.m. while WFAA8 led with 25-to-54-year-olds. 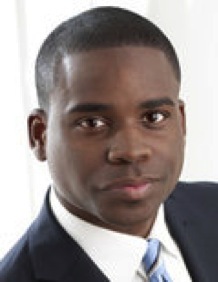 The troubled tenure of WFAA8 anchor/reporter Shon Gables has come to an end. Numerous sources tell unclebarky.com that Gables is being dropped by the Dallas-based station. WFAA8 news director Carolyn Mungo has not returned emails inquiring on her status that were sent Wednesday night and Thursday morning. But Gables recently posted on her Facebook page, “Thank you Dallas …. I am grateful for the opportunity.” Her wfaa.com bio was removed at some point Thursday. As previously reported on unclebarky.com, Gables has three bench warrants out for her arrest after a series of Michigan judges cited her for contempt of court. The latest such warrant was issued just over one month ago for her failure to appear in court in connection with a successful judgment against her by Gables’ former husband, Peter Klamka. In the judgment signed by judge Shalina D. Kumar, the “bond necessary to release this warrant” was raised to $100,000. WFAA8 renewed her contract since that time, and Gables has been anchoring weekend morning newscasts for the station as well as reporting on weekdays. Her likely successor in the weekend slot, according to sources, is WFAA8 news staffer Marcus Moore, who also has been doing some anchoring. He joined the station in January 2012 from ABC affiliate KMBC-TV in Kansas City. A $250,000 judgment against Gables was awarded to Peter Klamka, her second of three husbands, on Oct. 23, 2013. The latest contempt of court document notes that “this Court found that Defendant, Shondella Gables, also known as ‘Shon Gables,’ maliciously contacted the police about Plaintiff, Peter Klamka, and provided them with false information which led to his arrest.” But Gables since has “not paid Plaintiff anything,” the court document said, while also failing to appear in court to “testify as to her assets and financial ability to pay the judgment.” Peter Klamka has been represented in court by his brother, Richard Klamka. Gables since has remarried and in August of 2010 had her third child, Peyton Anne, with her third husband, Anthony Robinson. NBC’s second episode of the emergency room drama Night Shift showed impressive staying power Tuesday night. Set in a fictional San Antonio hospital but filmed in Albuquerque, Night Shift notably improved on last week’s ratings performance, drawing 213,039 D-FW viewers to the premiere episode’s 142,026. That gave Night Shift a 9 p.m. win after NBC’s two-hour edition of America’s Got Talent averaged 269,849 viewers. AGT was narrowly beaten in its first hour by CBS’ 7 p.m. repeat of NCIS. NBC and AGT handily won from 7 to 9 p.m. among advertiser-prized 18-to-49-year-olds before Night Shift tied Fox4’s local newscast and CBS’ Person of Interest for first place at 9 p.m. in that key demographic. Fox’s summertime tandem of Riot and I Wanna Marry Harry both ran last in total viewers among the Big 4 broadcast networks. Harry took the bronze in the 18-to-49 measurement, beating CBS’ rerun of NCIS: Los Angeles. Over on Fox Sports Southwest, the Texas Rangers’ 8-3 home loss to Baltimore averaged 106,520 total viewers. The ratings show that many fans tuned out in disgust or disinterest after the Orioles scored six runs in the eighth inning to break a 2-2 tie. The final minutes of the elongated game were seen by only 35,507 viewers. In Tuesday’s local news derby results, NBC5, WFAA8 and CBS11 tied for first place at 10 p.m. in total viewers. But WFAA8 was alone on top with 25-to-54-year-olds, the main advertiser target audience for news programming. Fox4 swept both the 6 a.m. and 5 p.m. competitions. The 6 p.m. golds went to CBS11 in total viewers and WFAA8 with 25-to-54-year-olds. TXA21 is canceling The Fan Sports Show and replacing it with vintage TV westerns after the Thursday, June 5th telecast, the station confirmed Wednesday. The Fan’s principal anchor of late has been Bill Jones, with Jane Slater regularly filling in. The locally produced program has been in the 6:30 to 7:30 p.m. weeknight slot on TXA21 since Feb. 6th, 2014. 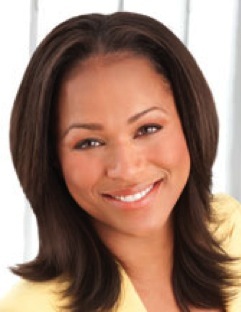 Its original anchor, Gina Miller, left TXA21 and sister station CBS11 in October of last year. Jones and Slater will remain a part of the CBS11/TXA21 sports team, director of communications Lori Conrad said Wednesday. In the May “sweeps” ratings period, The Fan averaged just 7,103 D-FW viewers, according to data from Nielsen Media Research. The new TXA21 schedule, effective on Monday, June 9th (the station airs Texas Rangers baseball games on Fridays), will move Inside Edition from 7:30 up to 6:30 p.m., with the Classic Western Hour slotted from 7 to 8 p.m. Reruns of Gunsmoke and Bonanza will be included in the initial mix. Fox’s combo of Masterchef and 24: Live Another Day controlled the first two hours of prime-time Monday before CBS’ 48 Hours fought to a split decision with Fox4’s 9 p.m. local newscast. Masterchef controlled the 7 p.m. hour with 177,533 D-FW viewers before 24 won at 8 p.m. with 205,938. Both shows also took their time slots among advertiser-prized 18-to-49-year-olds. 48 Hours had the most total viewers (205,938) at 9 p.m., but Fox4’s news led at that hour with 18-to-49-year-olds. The 9 p.m. summer season return of ABC’s Mistresses ran fourth in total viewers with just 78,114 while staying in that position among viewers in the 18-to-49 range. In Monday’s four-way local news derby results, WFAA8 topped the 10 p.m. field in total viewers while Fox4 ran first with 25-to-54-year-olds (the main advertiser target audience for news programming). Fox4 swept the 6 a.m. competitions and NBC5 had the most total viewers at both 5 and 6 p.m. In the 25-to-54 demographic, Fox4 and the Peacock tied for the top spot at 5 p.m. and WFAA8 won at 6 p.m.
After nearly six years with NBC5, anchor/reporter Lindsay Wilcox is leaving the Fort Worth-based station after she and her husband. Raymond, had their third child last March. 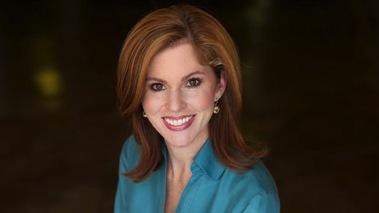 Wilcox, a Dallas native and University of North Texas grad, joined NBC5 in August 2007 from KLTV-TV in Tyler, TX. She’s been anchoring the station’s weekend morning newscasts and also reporting during the week. Wilcox and her husband had their first child a daughter, Bella Reese, in March 2009. Their second child is a boy named Hayes, who is now 3. And baby boy Porter is now 3 months. “Yep, I’m that news anchor who’s always pregnant,” Wilcox said with a :) on Twitter. Nerissa Knight’s nearly seven-year tenure in the D-FW market ended last week when she left as anchor of the “Need to Know” segments on CW33’s early morning Eye Opener program. Knight confirmed her departure Monday, but declined to comment on her future plans. But several sources close to the situation said her next move is to KTLA-TV in Los Angeles, which like CW33 is owned by Tribune Broadcasting. So it’s a transfer within the corporation, with Knight scheduled to join KTLA in mid-June as a reporter. Knight, who earlier anchored and reported for CBS11, also will be joining another former D-FW morning personality, Megan Henderson, at KTLA. She left Fox4’s Good Day in early 2009 and now is an established co-anchor of KTLA’s waker-upper newscasts. After earlier working at L.A.’s KNBC-TV, Knight joined CBS11 in fall 2007 from Beaumont’s KBTV-TV, where she had anchored that station’s 5, 6 and 10 p.m. newscasts. Knight left CBS11 in December 2010 after the two sides couldn’t agree on a new contract. 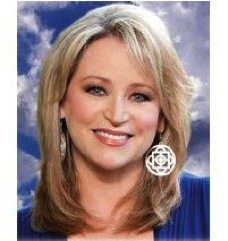 She became a full-time anchor on Eye Opener in April 2012 after earlier freelancing for CW33 for a year prior to that. A replacement for Knight on Eye Opener hasn’t been named yet. As previously posted, Eye Opener has been making some ratings inroads in the early morning, particularly during its 5 a.m. hour among 25-to-54-year-olds (the main advertiser target audience for news programming). On Thursday, for instance, it outdrew WFAA8 in this key demographic from 5 to 5:30 a.m. and tied that station for fourth place from 5:30 to 6 a.m behind Fox4, NBC5 and CBS11. Eye Opener tends to fare even better among 18-to-49-year-olds, the key target audience for entertainment programming. On Thursday in this measurement, it beat both WFAA8 and CBS11 for the full 5 to 6 a.m. hour. The San Antonio Spurs’ Saturday night closeout of the Oklahoma City Thunder topped the weekend sports numbers and set up what’s likely to be a high-rated NBA Finals replay on ABC against the defending champion Miami Heat. Saturday night’s late-running overtime game on TNT averaged 191,735 D-FW viewers with a peak crowd of 298,255 for the final full 15-minute segment. In comparison, the Texas Rangers’ same-day afternoon loss at Washington averaged 49,709 viewers on Fox Sports Southwest. Sunday afternoon’s Rangers win, propelled by Yu Darvish’s eight innings of shutout pitching, more than doubled that crowd with 113,621 viewers on FSS. Later Sunday, an average of 35,507 viewers found their way to NBC Sports Net for the L.A. Kings’ 5-4 overtime win against the Chicago Blackhawks in Game 7 of their series. The Kings’ winning goal, at 10:10 p.m., was seen by a high of 56,810 viewers. The hockey game, with L.A. advancing to this week’s Stanley Cup finals against the New York Rangers, handily outdrew AMC’s 9 p.m. premiere of Halt and Catch Fire, a rise-of-the-personal computer drama set in North Texas’ “Silicon Prairie,” circa 1983. It averaged just 14,203 viewers as Mad Men’s successor in that time slot. On Friday night, NBC’s 9 p.m. launch of the John Malkovich-driven Crossbones ran second in its time slot (behind ABC’s 20/20) with 142,026 viewers. The pirate drama likewise took the silver among advertiser-prized 18-to-49-year-olds, again trailing 20/20. NBC’s Thursday night newbie, the sitcom Undateable, had rougher sailing with back-to-back episodes from 8 to 9 p.m. The first one drew 78,114 total viewers before the second dipped to 56,810 viewers. That was good enough to beat ABC’s competing Bachelorette special, but Undateable otherwise ran well behind CBS’ sitcom repeats and a new episode of Fox’s Gang Related. Fox’s Hell’s Kitchen and Fox4’s local newscast respectively controlled Thursday’s 7 and 9 p.m. hours among 18-to-49-year-olds. The news also romped at 9 p.m. with total viewers. Here are the four-way local news derby results for Thursday and Friday. Thursday -- NBC5 came within an eyelash of an exceedingly rare double grand slam. The Peacock swept the 6 a.m. and 5 and 6 p.m. competitions in both total viewers and 25-to-54-year-olds (the main advertiser target audience for news programming). NBC5 also had the most 25-to-54-year-olds at 10 p.m. but was nipped in total viewers by CBS11 (157,649 to 153,388). Friday -- WFAA8 swept the 10 p.m. competitions and Fox4 did likewise at 6 a.m.
NBC5 had the most total viewers at 6 p.m. and the most 25-to-54-year-olds at 5 p.m. The other firsts went to Fox4 at 5 p.m. in total viewers and CBS11 at 6 p.m. in the 25-to-54 demographic. Steve Dennis’ 16-year tenure with CBS11’s sports staff has abruptly ended with the station’s decision not to renew his contract. “They just up and took my ball away from me and told me to go home,” Dennis, 53, said Saturday in an email reply to unclebarky.com. Dennis had been gearing up for another season of covering the Dallas Cowboys when he found himself unemployed. He has long been a vocal fixture on that beat, often firing blunt questions at players, coaches and owner Jerry Jones. “I am not absolutely positive about this, but I’m pretty sure Jerry won’t start a new Cowboys season without me, so I have two months to get a new gig!” Dennis said. Schneider also told Horn that the two stations, primarily TXA21, would be cutting back on sports programming. TXA21 currently airs The Fan on weeknights from 6:30 to 7:30 p.m. and also carries Friday night Texas Rangers baseball games. CBS11/TXA21 has two relatively new sports staff hires in Guy Rawlings and Jane Slater, who currently hosts The Fan after an earlier stint as a freelance news reporter for the stations. Possible local landing spots for Dennis include Fox Sports Southwest or one of the market’s three sports talk radio stations. D-FW’s major television news providers aren’t nearly as bullish on sports as they used to be. Weather has supplanted scores and standings as the biggest came in town, although the Cowboys are still considered a top priority. The disparity is the greatest at NBC5, which has six full-time meteorologists and three full-time sports anchors/reporters. Dennis’ departure means that none of the four major combatants -- Fox4, NBC5, WFAA8, CBS11 -- has more on-air sports staffers than weathercasters.